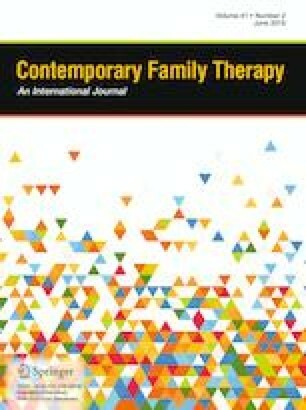 This article reports the results from a course module, based on the model developed in the National Academies of Sciences, Engineering, and Medicine’s Framework for Educating Health Professionals to Address the Social Determinants of Health, for students enrolled in a marriage and family therapy program at a large university in upstate New York. Students were taken on bus tours through high-crime areas to gain a greater understanding of how various determinants, including trauma and crime, affect community mental health. The authors review the community-level social determinants of mental health and cultural competence, elements of the Framework, and describe how violence and trauma affect the community residents the students will work with in their practicums. The authors present the module, students’ feedback, and reflections from faculty as well as community members, who all report learning a great deal about the trauma their clients face. Pew Research Center (2014). Women’s college enrollment gains leave men behind. Pew Research Center. Retrieved from http://www.pewresearch.org/fact-tank/2014/03/06/womens-college-enrollment-gains-leave-men-behind/. World Health Organization. (2019). Social determinants of health. Retrieved from http://www.who.int/social_determinants/en/. U.S. Department of Health and Human Services OoMH (2018). National Standard for Culturally and Linguistically Appropriate Services (CLAS) in Health and Health Care. Washington, DC: U.S. Department of Health and Human Services. Retrieved from https://www.thinkculturalhealth.hhs.gov/assets/pdfs/EnhancedNationalCLASStandards.pdf.